Android Slices, a time-saving feature that puts shortcuts, controls and other app pieces into Google Search, is entering early access. Back when Google announced the feature at its I/O conference in May, it showed some examples of how it could help users. Searching “get a ride,” for instance, brought up a Lyft slice that allowed users to order a Lyft to their Home or Work address right from Google Search on their phone. 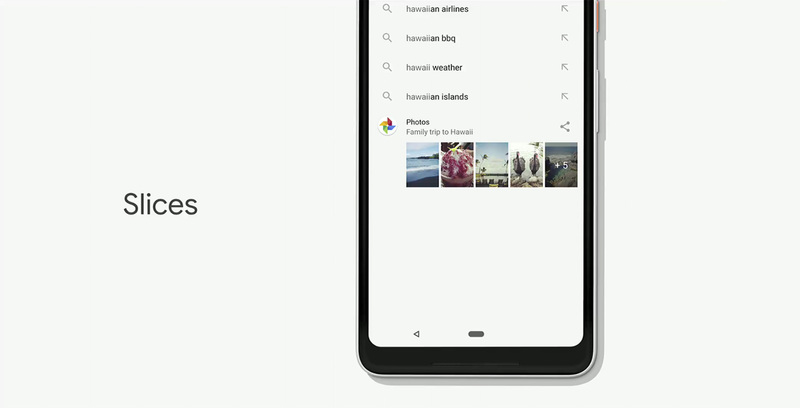 Another example allowed users to turn off their mobile data using a toggle summoned by searching “data” or view vacation photos they took by searching Hawaii. At the Android Developers Summit on Thursday, the Mountain View-based search giant announced a public early access program for Slices. The program will open in November and already has app partners like Doist and Kayak to name a few. For more information on Slices, you can check out this YouTube clip of the Slices presentation from I/O. Currently, Google hasn’t given any details on when the early access program will start or how to join it.